2008 Princess 54 fitted with twin Volvo Penta D12-800's !! 12 MONTHS ENGINE WARRANTY !! ** NOTE - THIS IS NOT A BROKERAGE BOAT - This STOCK boat comes with clear and full title and VAT papers. Part exchange welcome and encouraged. Finance plans too & all supported by our 24/7 triple-award winning customer support team. 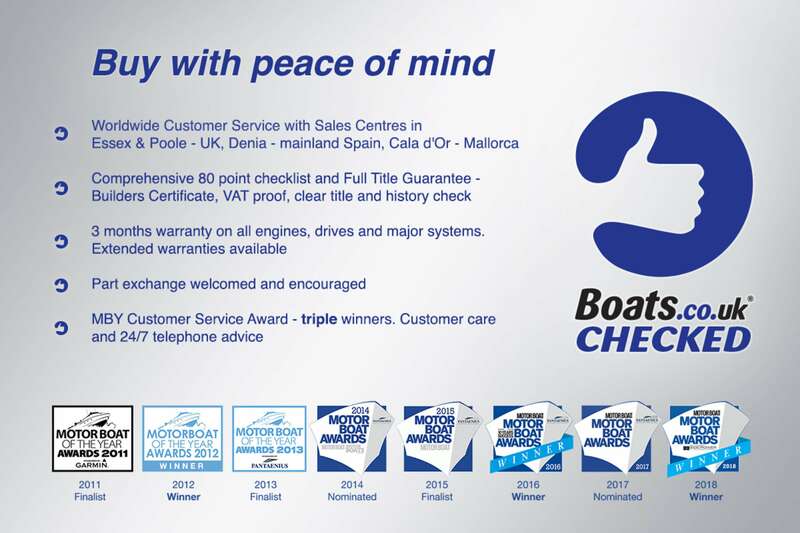 This boat has also been checked and prepared to a high standard. Please take this into account when comparing against other boats! ** One owner Princess 54, professionally maintained. Benefiting from; 2 x Volvo D12-800's, Generator, Air Con, Ice Maker, Bow Thruster, Furuno Navionics, Leather Upholstery and passerelle. To arrange a viewing, please contact Essex Marina 01702 285 885. Buy this boat for as little as £5,284.41 per month. Insure this boat for as little as £3,449.65 per year.